The Evolution of Desert Adaptations. 190 A Comparison of Behavior Patterns. . 196 A Comparison of Behavior Patterns in: Meriones, Gerbillus and Perognathus . . . . . 210 Spacing and Communication 217 Acknowledgements 221 References . . . . . . . . 221 XI. 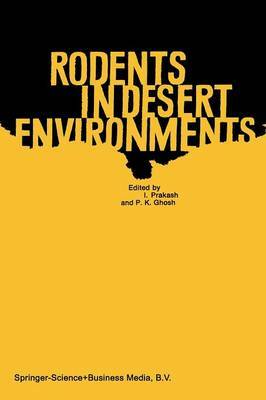 Activity Patterns ofa Desert Rodent by N. R. FRENCH 225 Introduction . . . . . . . . . . . . . . . 225 Methods. . . . . . . . . . . . . . . . . 226 The Microdosimeter and the Index of Activity. 227 Variation in Activity. . . . . . . . . . . . 229 Climatological Variables and Animal Activity . 229 Analysis . 232 Discussion 237 Summary 238 References 239 XII. Patterns of Food, Space and Diversity by M. L. ROSENZWEIG, BARBARA SMIGEL & A. KRAFT. 241 Introduction . . . . . . . . . . . 241 Resource Allocation by Seed Selection 242 Habitat Selection in Space . . . . . 251 The Pattern of Local Species Diversity 260 Acknowledgements 266 References . . . . . . . . . . . . 266 XIII. Desert Coloration in Rodents by D. L. HARRISON. 269 Introduction . . . 269 Desert Coloration . 269 Acknowledgements 275 References . . . . 275 XIV. The Biology of so:me Desert-Dwelling Ground Squ- rels by A. C. HA WBECKER . 277 Introduction . 277 Reproduction. . . . . . 279 Food Habits . . . . . . 288 Population Characteristics 294 Habitat Factors . 297 References . . . . . . . 302 IX xv. Reproductive Biology of North ADlerican Desert Rodents by H. D. SMITH & C. D. JORGENSEN. 305 Introduction . . . . . . . . . . . . . 305 Reproductive Biology: Species Summaries. . . 308 References . . . . . . . . . . . . . . . . 328 XVI. Rodent Faunas and EnvironDlental Changes in the Pleistocene of Israel by E. TCHERNOV . . . . . . . 331 Introduction . . . . . . . . . . . . . . . . . . . 331 The Main Biogeographical Changes in the Near-East since the Miocene . . . . . . . . . . . . . . . . . . . 331 The Composition of the Rodents Faunas in the Pleistocene of Israel . . . . . . . . . . . . . . . . . . . . . 336 The Main Ecological Changes in the Quarternary of Israel . . . . . . . . . . . . . . . . . . . . . .